The Redford Model Railroad club is the oldest HO scale model railroad club in Michigan. We are a non-profit 501c3 organization that was started to provide members an opportunity to participate in the hobby of HO model railroading. Our mission is to provide fun and fellowship with other HO scale model railroad hobbyists, while preserving railroad history both past and present by offering an opportunity for our members to learn, share skills, and grow. 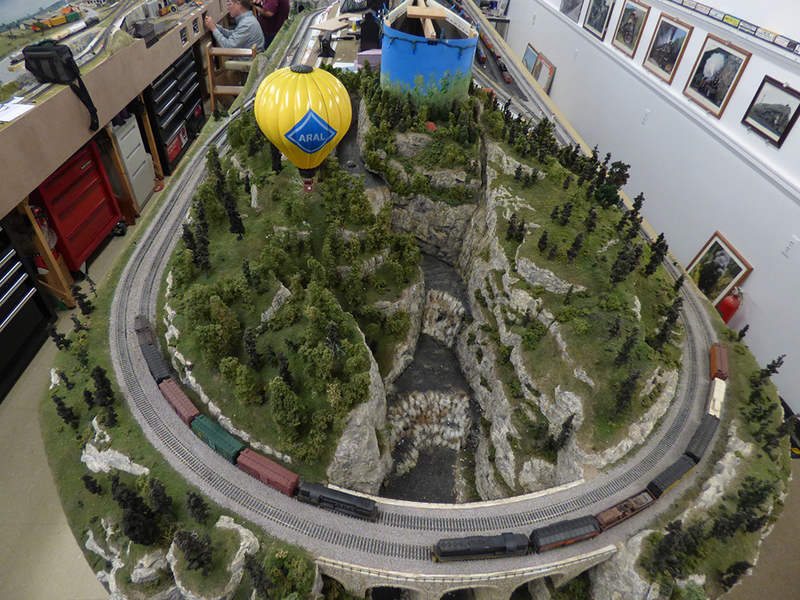 We offer educational open houses and railroad merit badge clinics to the public to preserve the hobby of model railroading. The history of the layout’s name comes from the humble beginnings of the Club. Founded in the attic of an old office building in old Redford Township, the first layout was called “Sand hill” which was the original name of Redford Township. Later on, “Western” was added to the name for a more prototypical feel. Due to the diverse modeling interests of our members, the present day layout is not tied to any particular era, locale, or railroad prototype. Because of this, both vintage steam and modern diesels in various prototype railroads operate in harmony. As with all layouts of the time, our layout was powered by the traditional way of direct current to the tracks via a transformer(DC). However, with advances in the electronics industry and interests of our membership, our club has upgraded to DCC (Digital Command Control) On this new system, each train is controlled independently on the same stretch of track. With this feature, there can be multiple locomotives doing various jobs with no interference issues. Additionally, DCC equipped locomotives can have extra electronics in them enabling special effects such as lighting, sound, even fake steam and smoke all independently controlled. The club meets Thursday evenings, beginning at 7:00 pm, except the last Thursday of the month which is a business meeting. Come and join us for fun, fellowship and model railroading action. Be sure to check us out on Facebook via the link on the right. This is currently a work in progress. Please check in regularly for new content and features! © 2019 Redford Model Railroad Club Copyright. All Rights Reserved.